Covers can be glorified karaoke versions or superbly crafted makeovers, and producing the latter arguably takes as much skill as creating something from scratch. Think about it: you have what’s presumably one of your favourite songs in front of you, and you’re tasked with adding your own twist, but also with the duty to protect a sacred artefact, to do it justice, to do the artist justice, and in some cases…do your own grandfather justice. To produce a good cover, you must find a way of threading your own personality throughout, it’s imperative you add something that wasn’t there before. But creating a full album of covers? That’s even harder work. Adding something new, unique and ‘you’ to no less than 10 old classics - while ensuring they create a coherent album together - now that’s a real challenge. 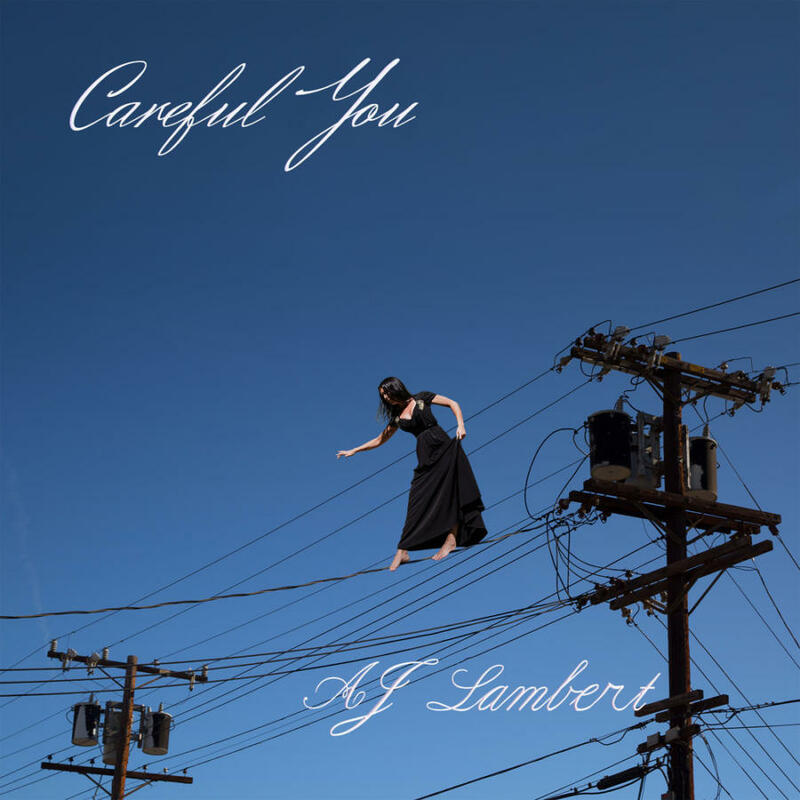 Recorded with a full band, produced by Daniel Schlett of The War on Drugs, AJ Lambert’s ‘Careful You’ sees her fuse modern pop twists, futuristic synth sounds and vintage bluesy brass breakdowns with 10 old-school classics - including a couple belonging to her grandfather, Frank Sinatra. The record is filled with instrumental references to the period these songs originate from: a grandiose brass bravado permeates the album. There’s a foreboding that courses through many of the cover, though, particularly as the album comes to a close. The title track, a TV On The Radio cover - on which the original pop sounds are swapped out for a more intimate, mysterious piano, and Lambert’s vocal borders on the haunting - demonstrates how covers can be dealt with cleverly, swapping out the pop rushes of the original for something more menacing. Lambert’s ability to recraft these tracks and fit them together as one complete body of work is impressive. At no point does this sound like a karaoke album. Whilst her lyrical ability is still under question, there’s no doubting her ability to arrange a band and alter the mood and meanings of some undying classics. The balance between hope and misery is struck perfectly: ‘Cleo’ - a John Cale cover, exemplifying the former with positive, precise instrumentation, while ‘I’ll Be Seeing You’ - one of two Frank Sinatra covers - demonstrates the latter, swapping out his iconic blues sound for something more ominous. Tied together by the effortless mirages between poignant futuristic synths and pompous brass arrangements - at times reminiscent of St. Vincent’s latest long-play ‘MASSEDUCATION’ - AJ Lambert has managed to turn a collection of the 20th century’s greatest hits into a comprehensive record that ebbs and flows, that fits together as seamlessly as a jigsaw would.